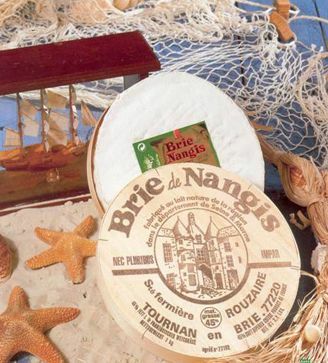 I picked up a Brie de Nangis from Rouzaire at the Milk Pail since it was in the special bin. Sadly it is apparently overly ripe since it wreaks of ammonia. I have been eating it still, just cutting the skin away to avoid the strong ammonia there. I hope to get some more of this, nice and fresh to see what it is like. It is still a brie, but a little different from the ones we usually see.